Kendal Leisure Centre has a fantastic 25 metre main pool and a 12.5 metre learner pool.Both pools host a wide variety of activities, sessions and lessons for all members of the community throughout the week. Swim for fitness or fun, improve your stroke or take part in an aqua class! Our fitness gym here at Kendal Leisure Centre is a fantastic, spacious and impressive facility boasting a variety of the very latest gym equipment. 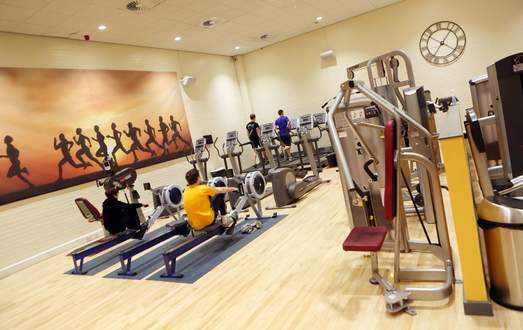 Refurbished in 2014, the gym is fully air conditioned, with a great cardiovascular selection of cross trainers, treadmills, rowing machines, bikes and more, plus a large selection of resistance equipment and a free weights area. There's something for everyone with our choice of fitness classes which take place daily in our studios, plus aqua classes in the pool. To whet your appetite, here's a small selection of the choice of classes we offer: Gym Circuits, Body Conditioning, Kettlebells, Mossa Group Power & Fight, Abs Blast, Group Cycling, Core Body, Tai Chi, Zumba & Yoga. We have a fantastic indoor sports hall which means we can offer a huge variety of sports and activities for all ages; in fact you can try 14 of the 26 Olympic sports right here! Our multi-use sports hall has six badminton courts which are excellent for both beginners, club level players and badminton tournaments. We can also offer short tennis on the courts if you fancy something a little bit different or are looking for a fun family game. We have two indoor pitches available to hire, and these can be used for five-a-side football, basketball, or hockey. If you are looking for an impressive and affordable venue for your business or club meeting, personal event or charity function. Kendal Leisure Centre makes it easy. 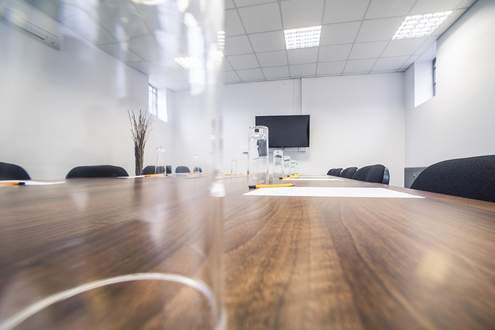 We have a number of rooms and seating layouts to choose from which means that whether your event is for 9 or 900 you can hold it here at the centre.